Item # 292712 Stash Points: 1,199 (?) This is the number of points you get in The Zumiez Stash for purchasing this item. Stash points are redeemable for exclusive rewards only available to Zumiez Stash members. To redeem your points check out the rewards catalog on thestash.zumiez.com. Add a pop color to your daily look with the Ezra Watch This Tie Dye T-Shirt from A-Lab. 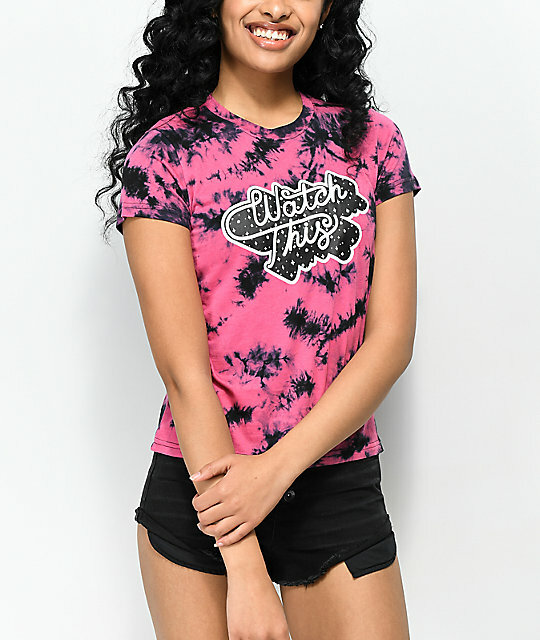 Featuring a hot pink and black crystal wash design with "Watch This" black and white graphics screen printed on the front. A-Lab's Ezra Tee offers a slim fit and 22" length cut from a lightweight cotton blend. 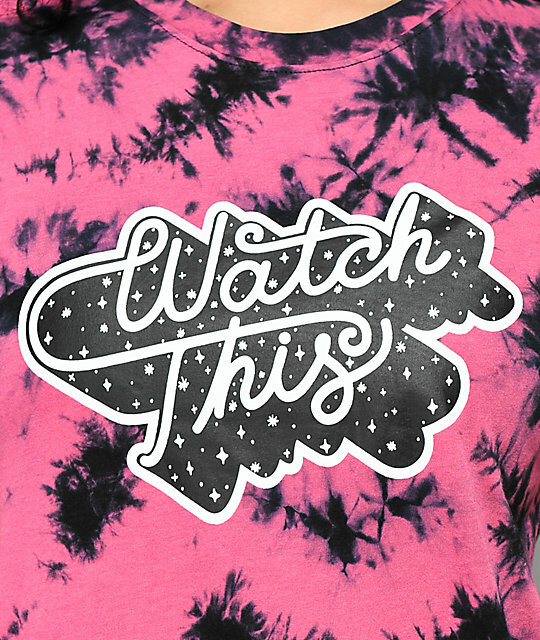 Ezra Watch This Pink & Black Tie Dye T-Shirt from A-Lab. Hot pink & black crystal wash design.